Please note that as each tee is made to order we are unable to accept returns. Please ensure your tee is of the right size before ordering by checking the size guide table. 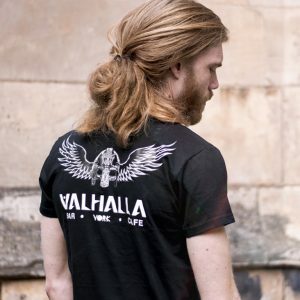 Valhalla, or Valhöll in old Norse, is the hall of the slain. A great hall located in Asgard ruled over by the god Odin. 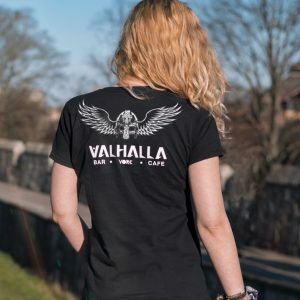 In Valhalla, the dead join the masses of those who have died in combat known as Einherjar as well as various legendary Germanic heroes and kings, as they prepare to aid Odin during the events of Ragnarök. Here’s to hopefully many more years of bringing you great ale and rock ‘n roll. Some of our favorite #caskales from the last few months.... Which are your favorites and any requests? Let us know in the comments! 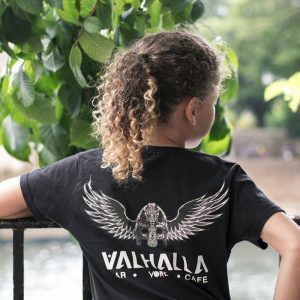 © 2019 Valhalla – York – Bar – Cafe.